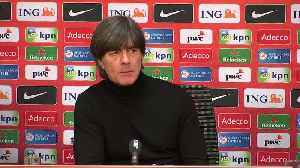 ▶ Videos for "De Ligt"
Germany coach Joachim Loew says he is pleased with how his young side is improving after they score a late winner to beat the Netherlands 3-2 in Amsterdam. On Tuesday night, Matthijs de Ligt once again showed why he is considered one of the best young prospects in European football. Still only 19, he netted the key goal for Ajax as they defeated Juventus..
talkSPORT.com round up all the latest transfer news and football gossip from Thursday’s papers and online… Mohamed Salah wants to leave Liverpool after a blazing row with manager Jurgen Klopp,..
Manchester United have also watched the teenage Dutchman who proved against Juventus why he is regarded as the best defender in the world for his age. Young Ajax powerhouse Matthijs de Ligt is ‘made for English football’ and the player himself is surprised no top Premier League clubs have yet registered a serious interest in him. That’s..
Rio Ferdinand has hailed Ajax skipper Matthijs de Ligt as ‘the best young defender on the planet’ following his outstanding display in their Champions League win over Juventus. 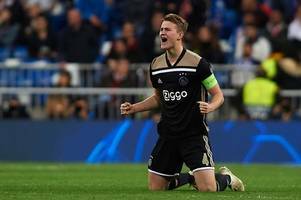 The 19-year-old..
Former Ajax captain Siem de Jong would like to see in-demand teenage defender Matthijs de Ligt join LaLiga champions Barcelona. Linked with Europe’s biggest clubs – including Barcelona, Bayern..
Ajax captain Matthijs de Ligt said “there is nothing to announce” following speculation linking him with LaLiga champions Barcelona. 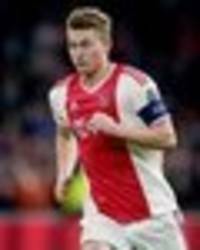 De Ligt – who is certain to leave Ajax at the end of the.. According to a recent report from AS, Barcelona are getting ready to sell Samuel Umtiti in order to bring Matthijs de Ligt to the Nou Camp. The Spanish giants’ pursuit of the Ajax star has hardly..
Barcelona president Josep Maria Bartomeu insisted Atletico Madrid star Antoine Griezmann is not in the club’s plans, though he refused to rule out a move for Ajax captain Matthijs de Ligt. Griezmann.. 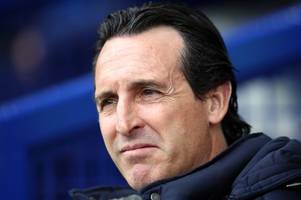 Here are some of the changes Unai Emery could make ahead of the 2019/20 season according to Football Manager 2019. Matthijs de Ligt will join Barcelona or Bayern Munich this summer, according to his manager. 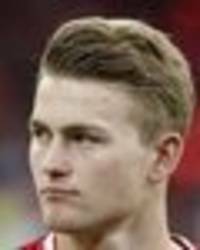 Ajax boss Erik ten Hag also insisted there is ‘zero chance’ of De Ligt staying with the Dutch champions..
BARCELONA have been boosted by the news that transfer target Matthijs de Ligt will leave Ajax this summer. 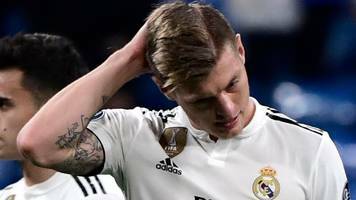 Real to sell Kroos to make room for Pogba and Eriksen, De Ligt bound for Bayern Munich or Barcelona, plus more. Barcelona and Bayern Munich target Matthijs de Ligt is certain to leave Ajax at the end of the season, according to the club’s head coach Erik ten Hag. The talented teenage defender is one of the..
MANCHESTER UNITED and Liverpool have been dealt a fatal blow in their pursuit of Ajax star Matthijs de Ligt. The former Old Trafford boss reckons the rising Dutch star would be wise to give his old team a swerve. 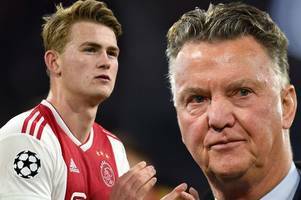 Former Manchester United manager Louis Van Gaal has revealed where he thinks would be the ideal destination for Matthijs de Ligt... The post Louis van Gaal outlines where Dutch Liverpool, Barcelona..
Matthijs De Ligt highlighted Cristiano Ronaldo’s predatory instincts after Ajax drew 1-1 with Juventus in the Champions League. 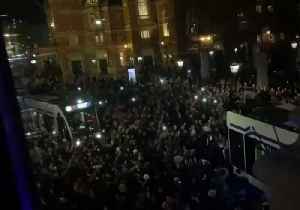 De Ligt’s Ajax had to settle for a draw in the first leg of the..
Barcelona president Josep Bartomeu says he ‘knows what will happen’ with Liverpool and Manchester United transfer target Matthijs de Ligt. The Ajax defender has been linked with a £75million move..
Manchester United can reportedly beat Barcelona to the signing of Ajax star Mattijs de Ligt this summer if they offer one thing The post Man Utd told how they can beat Barcelona to €75m Dutch..
Juventus to use Rogerio in swap? 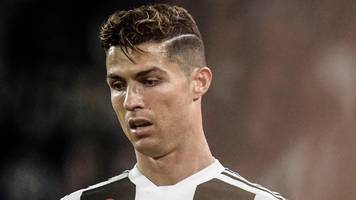 According to a recent report from Tuttosport, Italian champions Juventus could use Rogerio as part of a deal that would see Matthijs de Ligt or Ruben Dias make their way over to the club. 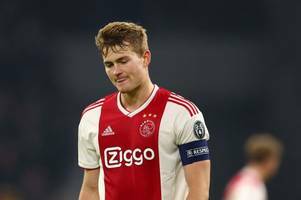 The 21 year..
Mathijs de Ligt will not make his decision about his destination this summer before the season with Ajax is over, according to Sport. The 21-year-old defender has been linked most heavily with..
Barcelona believe their capture of Ajax’s Matthijs de Ligt is coming closer with every passing day, according to Sport. The Catalans have submitted a bid of €60 million to Ajax and a contract for..
A Dutch journalist has claimed that Matthijs de Ligt's post-season plans are "clear" as speculation over the defender's future continues. 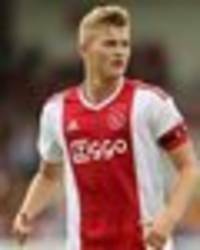 The post Dutch journalist provides definitive update on..
A round-up of the latest news and transfer rumours ahead of a big day of football Ajax’s 19-year-old Netherlands defender Matthijs de Ligt says he could sign for Juventus, amid interest from..
Ajax defender Matthijs de Ligt admits he could join Juventus. 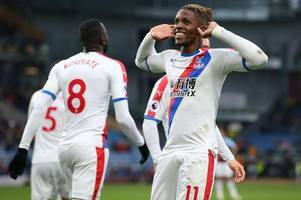 The Serie A champions, Arsenal, Liverpool and both Manchester clubs are all admirers of the Netherlands international. 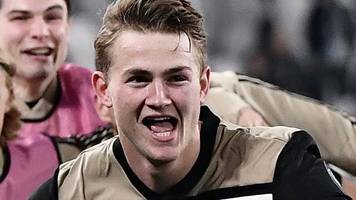 Ajax knocked Real..
Ajax captain Matthijs de Ligt admits he is open to a move to Serie A giants Juventus. De Ligt is one of football’s hottest properties, with all eyes on the 19-year-old defender after Ajax team-mate..
Dimitar Berbatov believes Liverpool star Virgil van Dijk could help in-demand youngster Matthijs de Ligt move to Manchester United. The £75million-rated Ajax defender is being monitored by United,..